Gather clues and interrogate suspects. Ingenious puzzles to test your sleuthing skills. Choose Junior or Senior detective levels. 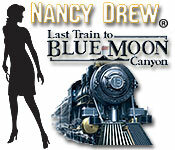 Nancy Drew - Last Train to Blue Moon Canyon is rated 4.0 out of 5 by 21. Rated 5 out of 5 by SRK_Animator from First time I play Nancy Drew game and not disappointed I saw alot of positive comment about Nancy Drew series being the real detective game, so I somehow feel like wanted to try but there are too many series so I decided to choose this one and then I love it so much. This game is really good for me to improve my listening skill, and taking note while listening to the conversation... anyway one problem that I don't like in the game is their hand writing. It's really difficult to read because English is not my mother language, so it took me a while to guess what it mean. At first, I think everything in the game is a bit complicated but actually it's simple because I never notice that even a tiny piece of paper would be important to solve the case until I play the game half way and realize that I play this game as a detective so everything surrounding me is a clue. 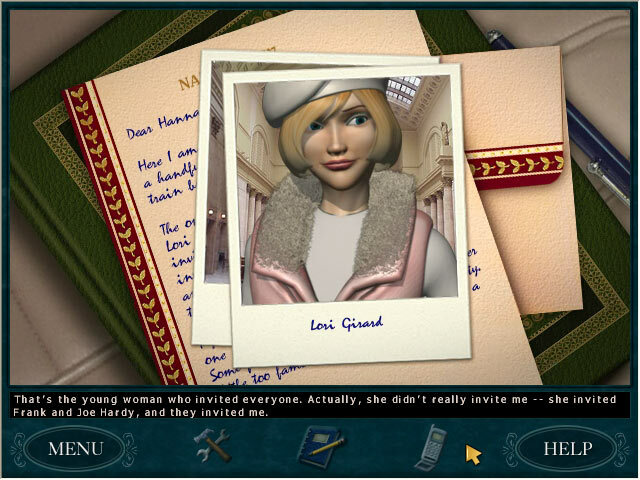 Nancy Drew is the best detective game I've ever play. I recommend this game. Rated 5 out of 5 by Fish_Pie from Another great Nancy Drew game! I have not played a ND game that I have not enjoyed. The only slightly annoying thing is having to keep walking up and down the train. It would have been better with map of the train so you could go straight to a carriage , apart from that this is a very enjoyable game. Rated 5 out of 5 by petporcupine from No walkthrough needed (I think this was a first for me) I love trains, I love the Southwest, and I love Nancy Drew. "Last Train to Blue Moon Canyon" hit every mark for me. I've finished 11 N.D. games to date, and this was the first (maybe number eight or nine?) that I don't recall consulting a walkthrough for. However, I did play as a junior/amateur. The story starts out feeling like a murder-mystery party and turns into something quite different. You have a cast of colorful characters--excluding the Hardy boys, who are just too darn '50s or '60s squeaky-clean to be a lot of fun. The voice actors are great. I loved most of the puzzles, particularly the doll puzzle. I was also a big fan of the steampunk contraption that held the secret of the mine's location. Nothing too annoying, such as the big endgame puzzles in "The Phantom of Venice," "The Secret of Shadow Ranch," and "Warnings at Waverly Academy." Navigation was straightforward, although moving back and forth along the train became tedious at times. I finished this game with a sense of accomplishment and feeling quite satisfied instead of drained from mental struggle or "meh." Rated 5 out of 5 by bubbies423 from One of the Best Nancy Drew Mysteries! An all around fun adventure! Though this game does not have the suspense and 'jumpy' moments others like Message in Haunted Mansion or Blackmoor Manor, it more than makes up for it in entertainment value. You're on a moving train destined for Copper Gorge, and Nancy's hostess disappears! It's up to the player to find her, then find the gold mine located somewhere in the old west. Story is alright, isn't the most creative but generally engaging. The puzzles are very fun and up to snuff, and theres always so many things to do that theres not much need to constantly wander the train cars which would take some time. If you're looking for a good adventure I would definitely recommend this game for all Nancy Drew fans its a must play! Rated 5 out of 5 by coriolyn from Wonderful Adventure Game with Fun Puzzles This game is probably one of my favorite ND games -- I just wish that they could redo some of the graphics and make it more new. However, overall, this was a great game. Some of the games were hard to understand......Like the hiker and the yeti AND the slugs. In the slugs, i didn't understand (i.e., it wasn't clear that the first symbol needed one slug and the second needed two. That wasn't really made clear until i consulted a walkthrough. The yeti, well, you just have to get lucky. But on the bright side, there were none of those evil arcade games (except for the yeti -- and i don't really consider than an arcade game). You should get some paper and a pencil and write down the names of the dolls and something descriptive for them. You will also need to pay attention in the mine -- so keep that paper/pencil ready. The saddest thing is that i didn't know where any easter eggs were..........This game is short if you just shoot right through -- but if you take your time and look at everything, it seems to be more like a normal-length ND. Rated 5 out of 5 by Brooke_Lyn from I absolutely Loved This Game!!! This is the 13th game in the series so it has the larger newer format and updated electronic gizmo's. Excellent game from start to finish with all the twists, turns puzzles and hidden passages we've come to love and expect! I want to re-play it since I wrote this but just started Phantom of Venice! I should write these as soon as I play them because my re-call isn't very good, but here goes.. Game setup.. Lori Girard Is a wealthy, spoiled, bored girl who loves attention and finds a HUGE train at her fathers new place of business, Huh? Okay, it is a game so it’s possible.. Anyway, she insists her father restore it, he does! When it’s ready she plans a trip to search for the lost gold of Jake Hurley the original long gone owner of the train in Copper Gorge, CO! Jake's wife Camille is supposedly still haunting the train.. ehhhhh! The train includes: The caboose, sleeping car, dining car, Camille's car, Jake's car, bar/ lounge car, engineer's car, coal car. As well as the long halls on each side of each car. Lori invited the following guests on the voyage.. The Hardy Boys: Who invited Nancy and Lori wasn't very happy about it! I think this is the only game Nancy is not the distinguished guest but more of an unwanted guest! Frank and Joe’s first visual appearance too, I think? Charleena Purcell: A romance novelist who specializes in the Old West! That pops up in a few ND games i.e. Shadow Ranch. John Grey: Has a TV show about Ghost Hunters and is a Scientist. Tino Balducci: A bumbling Chicago detective who thinks he’s superior! Nuff said.. Bess and George: Are phone contacts Nancy can call if she wants for hints or just chit chat. The Engineer: I can’t remember if you see him but Nancy does call him . All aboard, the cast is gathered around the table just as things get underway the lights go out for a split second and Lori disappears and launches what is reminiscent of a locked room mystery. So now it’s up to the invited guests to figure out what happened to Lori, solve all the mysteries of the train and find the treasure? As usual that means Nancy does all the work while everyone else just sits around in separate cars on the train. Has to be that way so when she needs to speak with one she has to do a lot of back and fourth! The train is visually pleasant from the cars, long hallways and the ever loved hidden passageways so it’s easy to take a wrong turn and end up back where you started or I did many times! There are things like a giant mounted Deer head when you open a door that should make it easier to know if your going the right way! SHOULD!! It’s packed with non mind numbing yet fun challenging puzzles and everything we expect in a fun ND game! And don’t JUMP to high when you see something in the window of the moving train, is it the ghost of Camille? You’ll find out! Also a pleasant stop at Buell's Museum and Taffy Shop in Copper Gorge where you get off the train stretch and go in the shop. Of course there are more puzzles and arcade games to play but still enjoyable! Don’t forget to buy the Taffy on a stick!! Pros: The game is so good it out weighs my cons below.. Cons: Creepy Doll Puzzle-Game at Buell’s which requires quick reflex’s and the worst one with Sheet Music playing the piano… Must piano playing be in nearly every Nancy Drew Game? On that “Note” No pun intended ‘-) YES! Rated 5 out of 5 by sleepiswrong from The one that hooked me! Way back when this game first came out, I was intrigued. 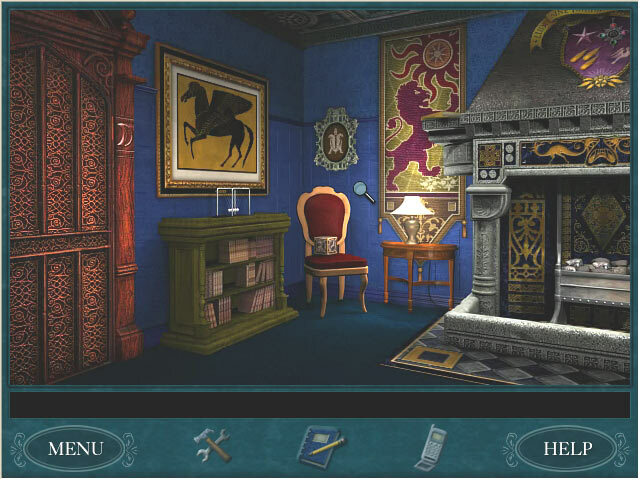 I had always loved Nancy Drew books, and had recently gotten into casual gaming. Five minutes into this game I fell in love and was ecstatic to learn that there were more games in the series! I have played every other game since, and anxiously await new releases. 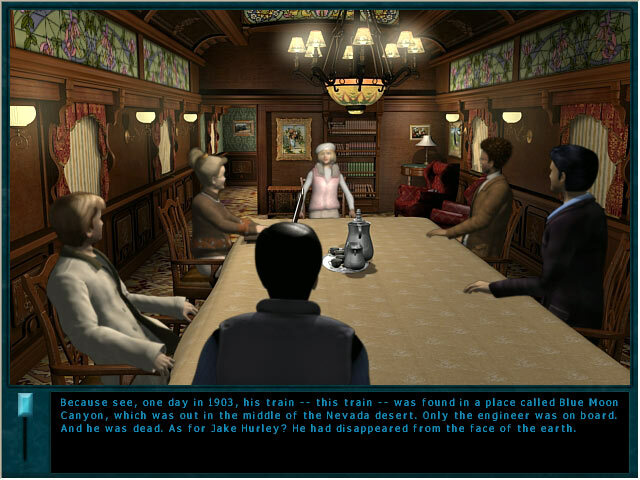 I loved the allure of "old-timey train", the "ghost" story (I'm fascinated by the paranormal), the challenging (yet not TOO challenging) puzzles, the music, the characters, the plot, the in-game hint system that doesn't just spit out answers. I really don't have any complaints about this one. Always my favorite Nancy Drew game, because it's the one that started it all for me! Rated 5 out of 5 by Sergeij from Nancy Drew at the Height of her Powers! This puzzle-laden game was vintage "Early Drew," with Nancy at the height of her powers! She certainly didn't need that "fop" of a would-be detective, Tino Balducci, and she didn't need the Hardy Boys, although they added action and activity. This was a "Nancy" for "Everyman," a game that could be played by anyone, without a lot of frustration and hair-pulling. Rather, this exciting game, which ended up in an old mine, proved to be marvelously interesting. There were many "connect-the-pipes" puzzles, but they weren't unduly difficult. There were other areas of the game that really tested the player's ability to think and solve logically. I played in "Senior Detective" mode, and had the opportunity to really roll up my sleeves and THINK! I loved this game and would tell anyone to download it because it is so worth it! CONGRATS, HER INTERACTIVE! BRAVO, BIG FISH GAMES! Rated 5 out of 5 by JaclynPeters from Love Nancy Drew Games! I am a big fan of the Nancy Drew series and this game is definitely one of the better ones. The scenery, characters, etc., are top-notch. Rated 4 out of 5 by HauntedDoll from One of the best ND games I purchased this game after reading so many positive reviews and it certainly ddn't disappoint. :-# In terms of intrigue and forward motion it outdoes some of the newer games. It only lost a a star because of the infamously annoying Mine game! #Nearly headbutted the screen!# and because the graphics are out-dated, as the game is about 10 years old. There's so much to enjoy in this game - fun characters, great games, interesting backstory #non-US players may miss some of the references), 2 amazing show-stopper animations, etc. I think the programmers would do well to incorporate some elements of this one into their newer releases. The Hardy Boys have invited you, as Nancy Drew, on a train ride out West hosted by beautiful and prominent socialite, Lori Girard.